It’s true that adding more turmeric to your diet isn’t going to instantly transform your health, but over time it could certainly make an important difference. Research shows this flavorful spice, famous for giving curry its rich color, may help with everything from warding off dementia to reducing your risk of cancer. 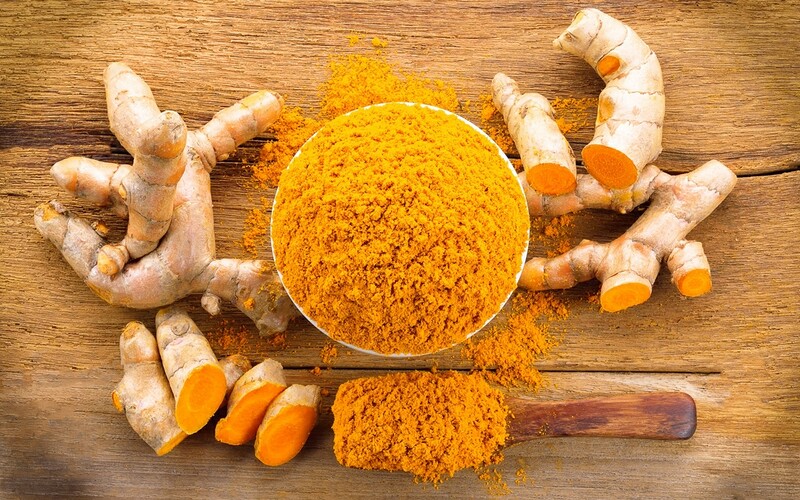 While supplements are one way to put curcumin to work for you, adding some fresh or powdered turmeric to your dishes every day might be an even more powerful method. That’s because turmeric is fat soluble; meaning when accompanied by some fat, curcumin has an easier time making it past the stomach, into the small intestine and into the bloodstream, where it can be of the greatest benefit. Eating extra turmeric doesn’t have to mean whipping up a complicated curry. Here are a few simple ways to get more of this healthy spice into the mix every day. Tossing in a pinch of turmeric when making tofu or egg scrambles will add a subtle flavor and a bit of color. Don’t forget to add some ghee or olive oil and a bit of black pepper.